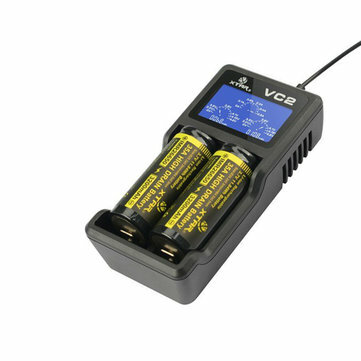 1.VC2 with LCD screen display, very rare in the market which can also be a tester for your batteries and adapter. By looking at ‘0000mAh’, you can identify how much real capacity your batteries have by draining your batteries and recharge your batteries again. By looking at CC instrument, you can know the real electric current your adaptors have by multiplying the figure on CC by 2. By looking at Voltage instrument, you can know how full your batteries are. This charger could only charge Li-ion Battery.